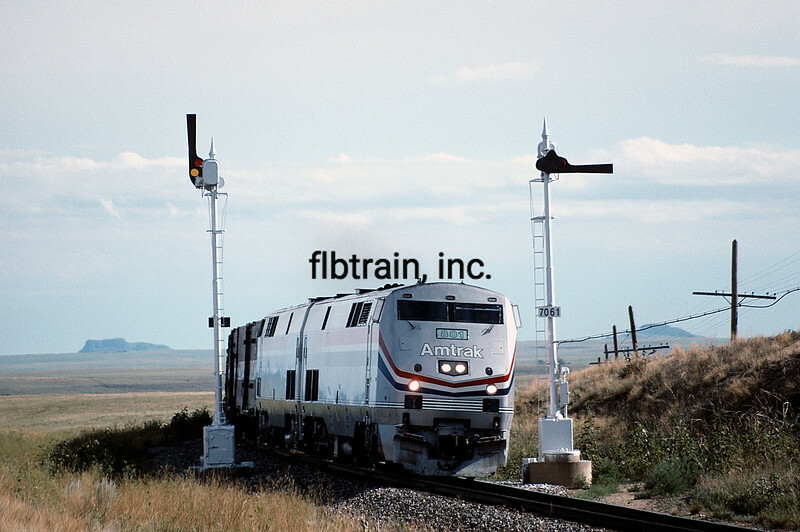 Amtrak P42DCs 801 + 822 lead #4, the eastbound Southwest Chief through the semaphores at Springer, NM. 8/3/1994, 5:19 PM, MP 706.0. What a contradiction, 100 year old semaphore signals and locomotives, and cars, with computer controls!